Pedestrian Accident Attorney in Dallas TX | Juan Hernandez Law P.C. 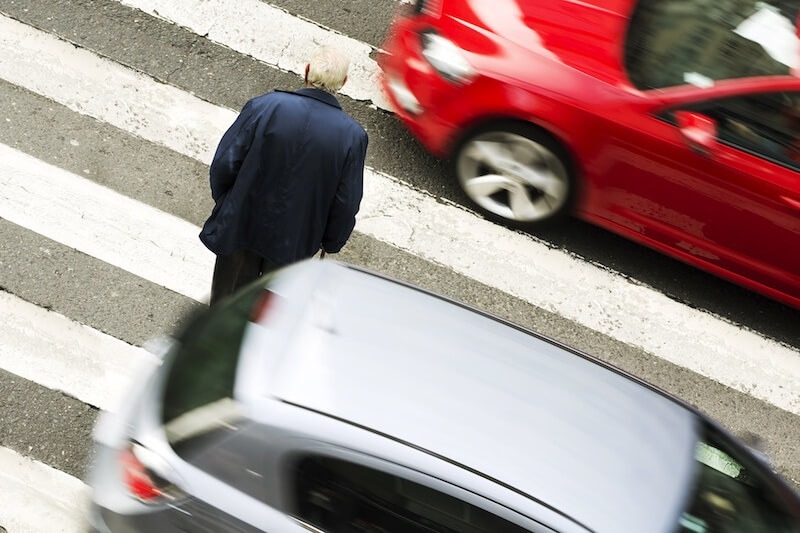 In 2011, there were over 69,000 accidents involving pedestrians across the United States. These accidents resulted in over 4400 fatalities and numerous life-threatening injuries. Due to inadequate protection, pedestrians usually sustain severe injuries when automobiles and other moving vehicles hit them, even at relatively slow speeds. In fact, one pedestrian is killed every 113 minutes in this country. In particular, small children and the elderly are more likely to suffer serious and life-threatening pedestrian injuries. As more drivers continue to engage in distracted driving behaviors, pedestrians are more at risk than ever before. Even when pedestrians obey all traffic signs and cross at crosswalks, distracted drivers may still inadvertently run into them. ➢ Texting drivers can run across road lines and into joggers. ➢ Distracted drivers may fail to recognize a small child that has darted out in the road. ➢ Drivers talking on their phones may run a stop sign and hit a pedestrian who is crossing. These examples are unfortunately common and lead to serious injuries and even death. There are times when pedestrians may be partly to blame for the accident themselves. If a pedestrian failed to cross at a designated crosswalk or did not exercise reasonable care of their own, then they may be partly to blame for the accident and the injuries sustained. This is likely what an insurance company will say when they attempt to deny your claim or offer you a low-ball settlement after a pedestrian accident. When this occurs, you need an experienced accident lawyer on your side to fight for your rights and for maximum compensation. Your attorney will need to review all aspects of your accident and investigate closely to build your case. When another driver’s negligence has caused you pain and suffering, there are ways to fight back and obtain the money you need to recover. When the injuries are great—you need to be sure you are compensated adequately for all your medical expenses, both present, and future. Your injuries could require long-term care, rehabilitation, costly medical procedures, disability equipment, and life-long treatment. As such, it is important to discuss your case with an attorney who can ensure that the insurance companies do not take advantage of you during this time. Never accept a settlement from an insurance company without first speaking with an experienced Dallas Personal Injury Attorney at Juan Hernandez Law P.C. A car hit Maria while she was jogging one Saturday night. Her injuries included a herniated disc in her lower back, a fractured pelvis, and 3 cracked ribs. Maria was lucky she was alive and relieved that her injuries didn’t seem life-threatening. The driver’s insurance company offered her a $100,000 settlement. After speaking with her lawyer, Maria declined the initial settlement. 2 years after her accident, Maria still had tremendous back pain, was unable to work and required spinal fusion surgery. Her medical expenses and lost wages alone already totaled more than twice what the insurance company had initially offered. Her lawyer was able to file a claim for a significantly higher amount of money to ensure that Sally had what she needed to recover. At Juan Hernandez Law, we can help you file the necessary claims and ensure that you receive all of the compensation to which you are entitled. If you or someone you love is injured in a pedestrian accident in Dallas, Fort Worth, Houston, Austin, San Antonio, or anywhere in the State of Texas, it is critical that you contact one of our experienced Dallas personal injury lawyers immediately. We will fight the tough fight—so you can focus on your recovery. Contact us today for a free consultation.